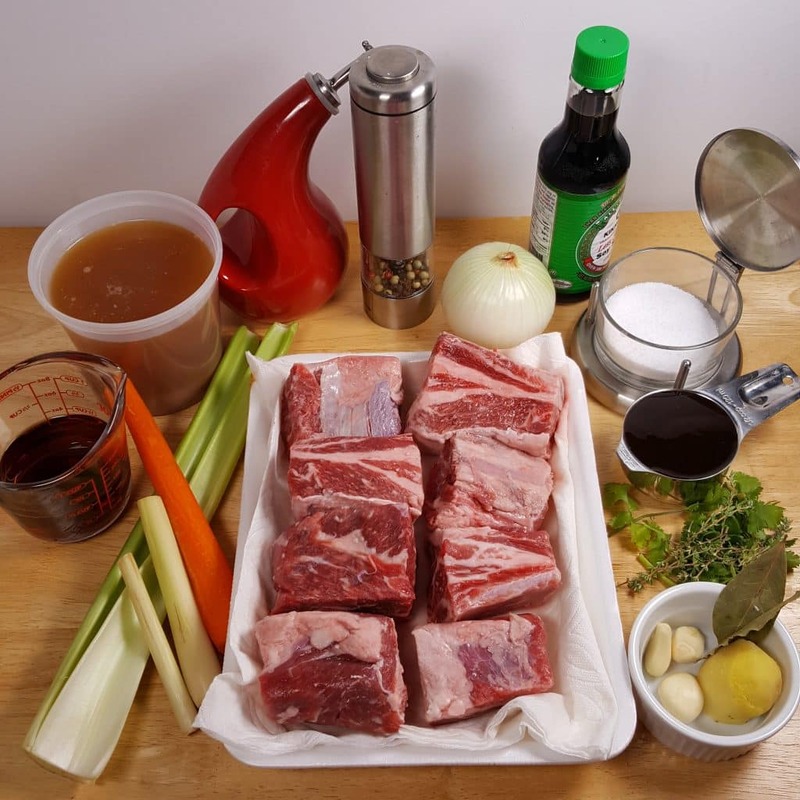 Pressure Cooker President Obama’s Short Ribs are braised in Lemongrass, Plum Sauce, Red Wine, Stock and Ginger, then combined with Spring Vegetables. As you can tell from my recipes, I am a huge fan of food from the Orient. Growing up in Miami, afforded me, many wonderful flavors at an early age. 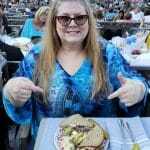 It was always such a treat to go out to dinner. Miami had lots and lots of Chinese, Japanese and Thai food restaurants already in place, when I was a kid. Cuban restaurants started popping up in the early 70’s. My Yuca Fries with Creamy Curry Mustard Sauce are very Miami! It’s a very diverse place and one I love. In 2011, Marcus Samuelsson, owner of the Red Rooster Harlem Restaurant, hosted a campaign fund raiser dinner for President Barak Obama for the 2012 election. He chose Short Ribs, with an Asian flare for the main course. Being a HUGE fan of Asian cuisine, I had to convert his recipe for the Pressure Cooker. Short Ribs are a tough cut of meat, which are perfect for cooking in the Pressure Cooker. Short Ribs are great to cook in advance, as they taste better the longer they sit and fuse with the braising liquid. Plus, you can easily remove the layer of fat! 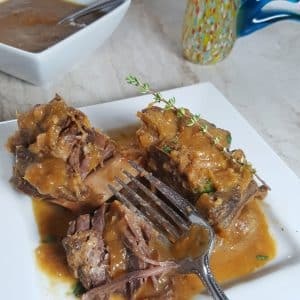 If you love Short Ribs, try my Pressure Cooker Red Wine Braised Short Ribs, which are equally as delicious. 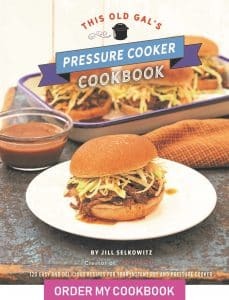 Heat up the Pressure Cooker. The Short Ribs get a nice sear in some Grapeseed Oil. Use Tongs and Sear on all sides. Then they are removed to a Plate. Lemongrass, Plum Sauce, Fresh Ginger, oh my! Did I mention that I am a HUGE, HUGE fan? The Brown Bits in the bottom of the Pressure Cooker have tons of flavor. As the veggie cook, some of the Brown Bits will loosen and add flavor to the vegetables. My di Oro Living Silicone Spatulas Set holds up really well with a higher heat and are perfect for scraping up the Fond (brown bits). Make sure to add the Minced Garlic after the Veggies are soft. Deglaze with a good quality Red Wine. Pour in your homemade Beef Bone Broth. Or use Beef Base w/ Water. The Plum Sauce adds a wonderful fruity flavor. Add the aromatics and let the braising liquid come to a boil. Sink the Short Ribs into the delicious veggie sauce and aromatics. 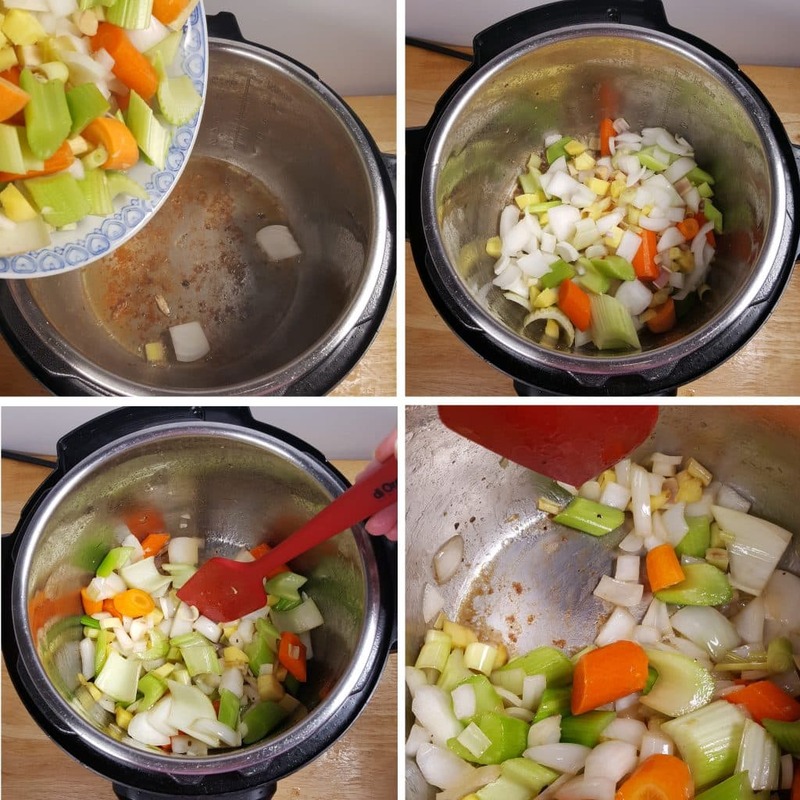 The luscious liquid and veggies will make a delicious rich Sauce. The Vegetables and the Braising Liquid will become the Sauce for the Pressure Cooker President Obama’s Short Ribs. 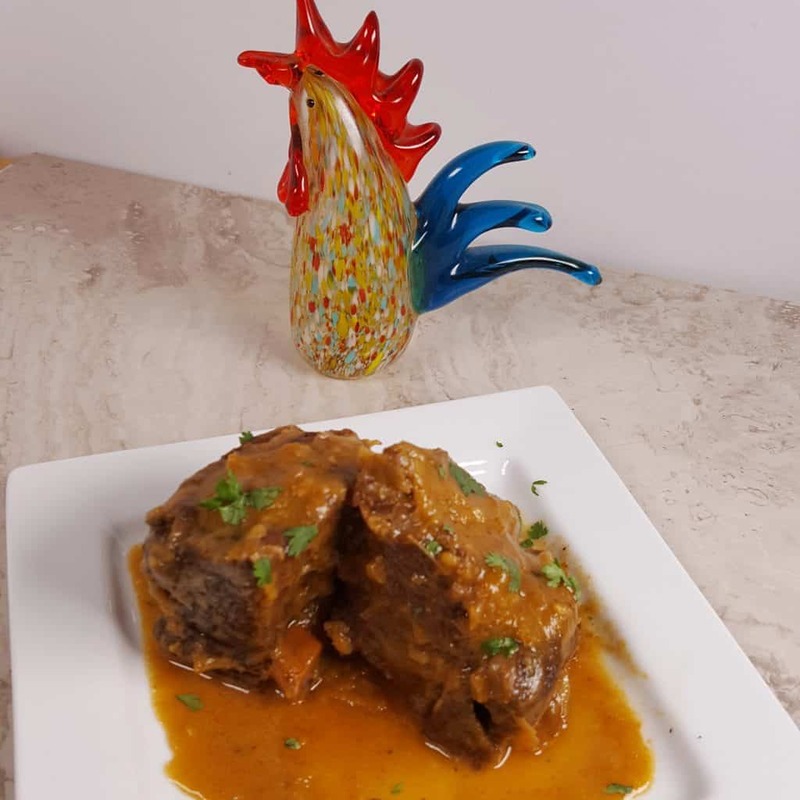 Remove the Short Ribs to a plate and prepare the Sauce. Strain the Vegetables from the Braising Liquid. 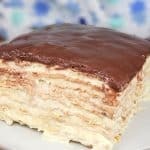 If making this in advance, place the liquid in the refrigerator and the Fat will rise and make it easy to remove. 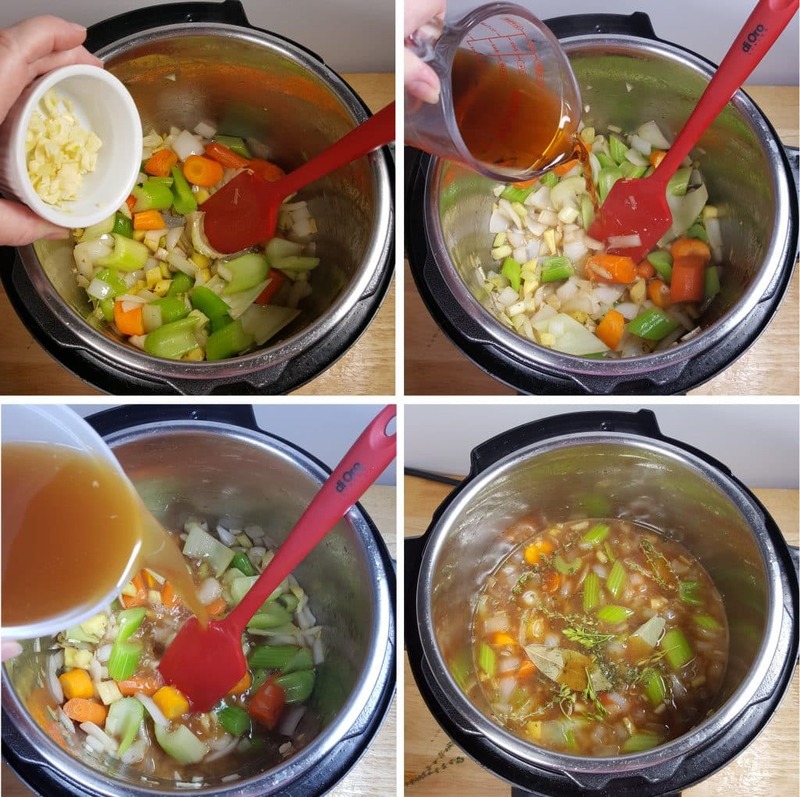 Use a Food Processor to Puree all the Vegetables. The Braising Liquid is so delicious. 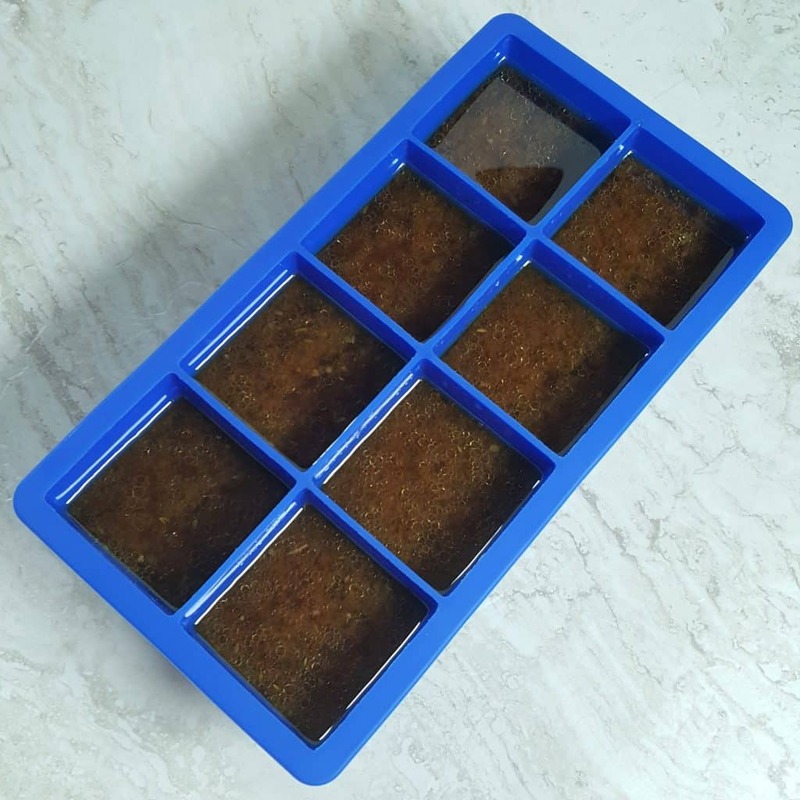 Save some in Ice Cube Trays. 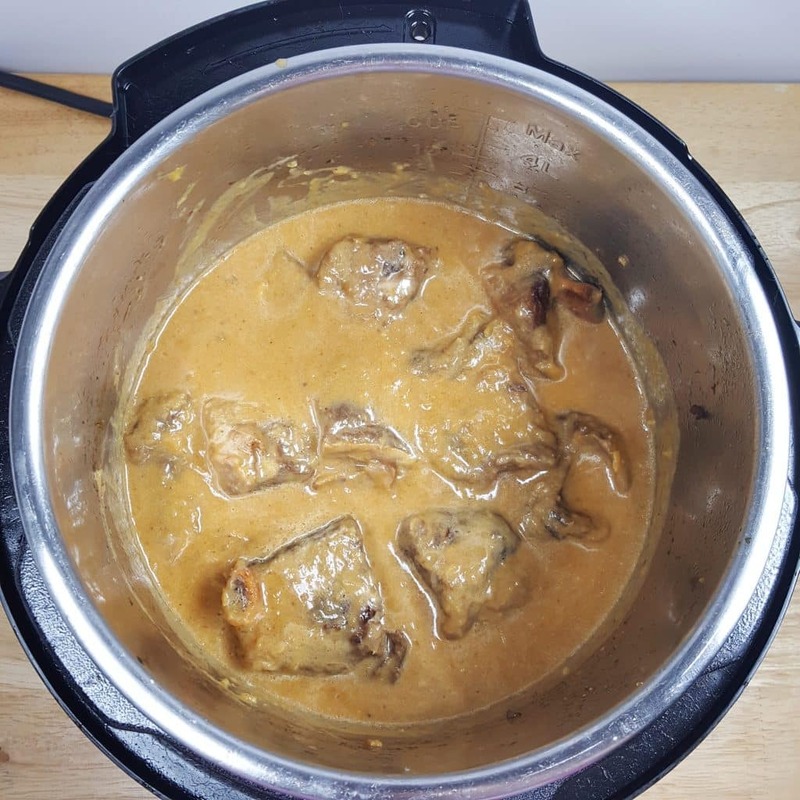 Use as “Flavor Bombs” in other recipes It will be come your secret Flavor Booster for other meals, like my Pressure Cooker Simmered Chicken recipe, or slip a cube into my Pressure Cooker Mashed Potatoes recipe. If made the day before, warm up the Pressure Cooker President Obama’s Short Ribs in the Pressure Cooker. 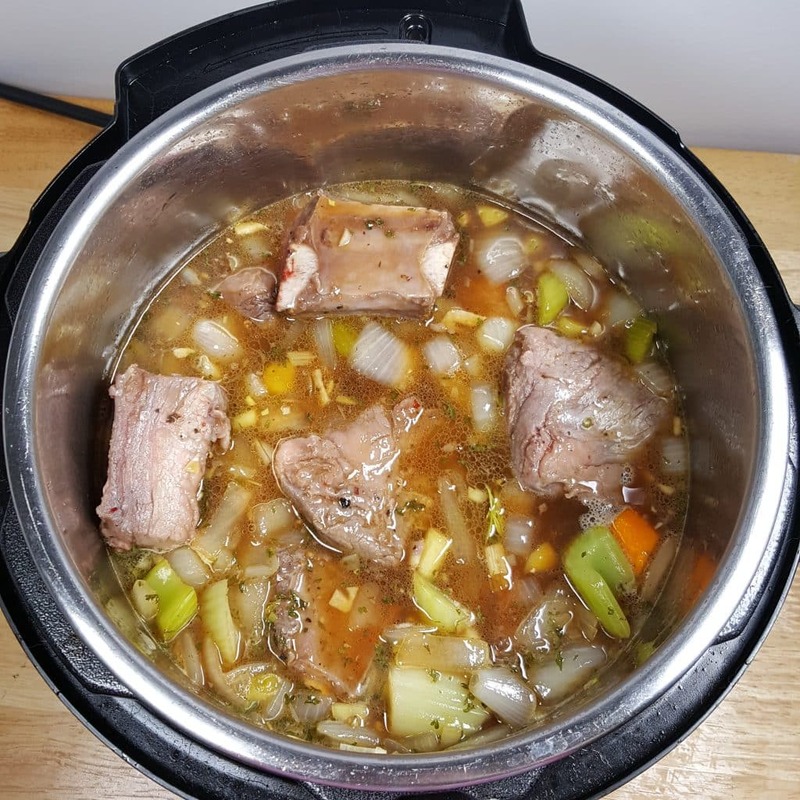 If eating the same day, after removing the Fat from the Braising Liquid and making the Sauce, place Ribs back into Pressure Cooker with Sauce and keep warm, until ready to serve. 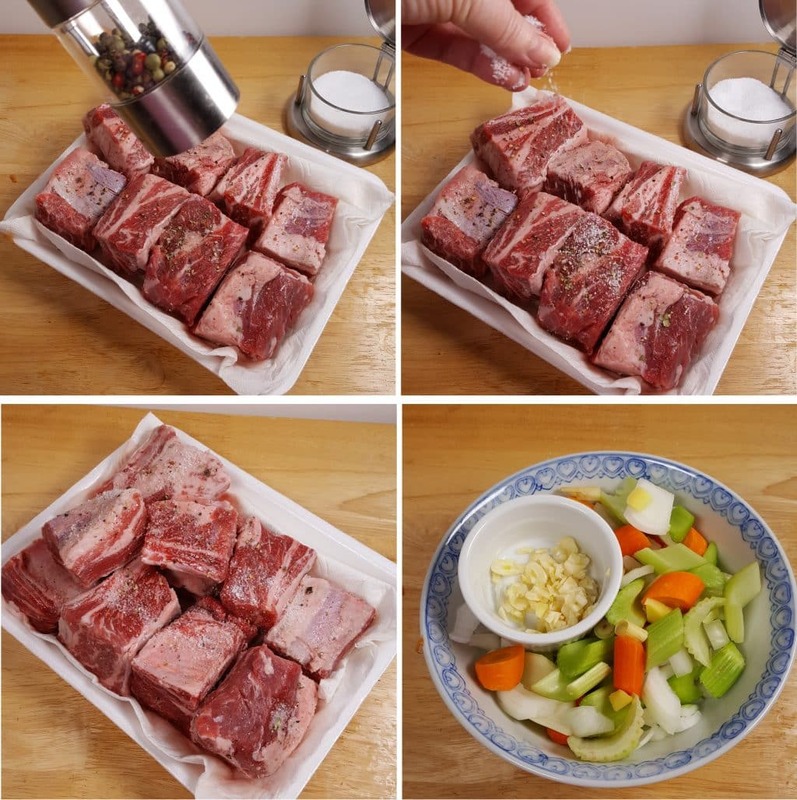 Rinse off Short Ribs to remove any bone chards and pat dry. Season with Salt and Pepper and set aside. Cut, chop, mince all Vegetables and set aside, keeping the Garlic separate. Select Sauté/Browning on Pressure Cooker and allow to fully heat. Pour in Grapeseed Oil. Add Short Ribs in batches and Brown on all sides. Remove to a plate. Add all Vegetables, except Garlic to cooking pot. Sauté for about 5 minutes, while scraping the brown bits off the bottom. Add Minced Garlic and mix through. Pour in wine and thoroughly deglaze cooking pot. Allow Liquid to come to a slow boil. Add Beef Broth, Plum Sauce, Soy Sauce and allow to bubble. Add Thyme, Parsley and Bay Leaves. 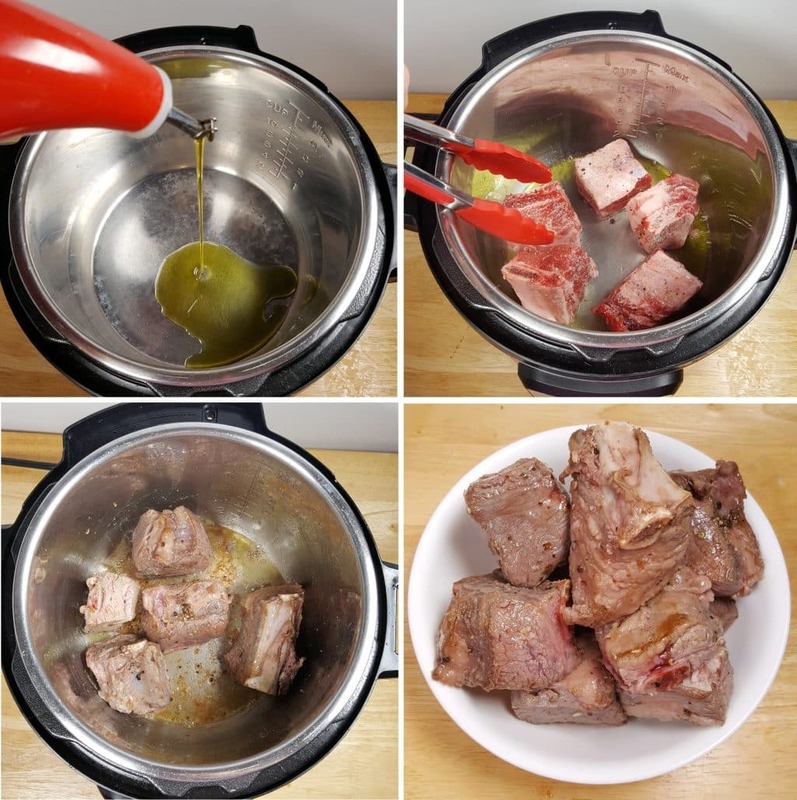 Return Short Ribs to Pressure Cooker cooking pot. Lock on Lid an close Pressure Valve. Cook at High Pressure for 40 minutes. When Beep sounds, allow a full pressure release. Remove Short Ribs to a plate. Using a fine mesh strainer, strain Braising Liquid into a Fat Separator. Remove Thyme and Bay Leaves and place Vegetables into Food Processor. Process until smooth. 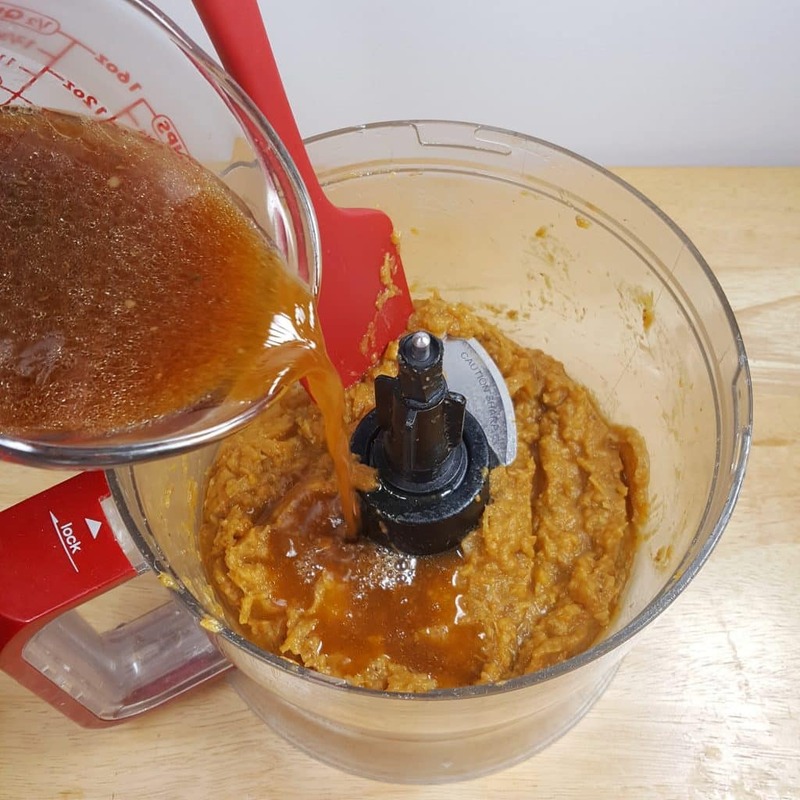 Add 1.5 cups of defatted Braising Liquid into Food Processor and blend to combine. Pour Sauce back into Pressure Cooker cooking pot. Taste and add Salt and/or Pepper, if needed. Return Short Ribs to cooking pot and simmer until hot. Plate Short Ribs and pour Sauce over top. The Short Ribs taste better if allowed to sit in the Braising Liquid overnight. If preparing the day before, place in refrigerator, so that fat will rise to the top. Remove fat. 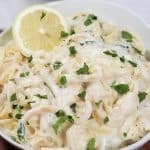 Bring to a simmer on Stove or in Pressure Cooker. PIN this Pressure Cooker President Obama’s Short Ribs! I thoroughly enjoy you work, and your spirit! 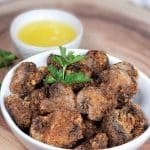 I just bought an IP and was looking up recipes, the President Obama’s Short Ribs caught my eye. 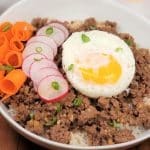 Like you, I really enjoy food with an international twist so this is right up my alley. Like someone else pointed out, the name is a plus and even though you said you might have lost some fans you gained another one! Being new to IP I’m curious to see how it would handle Moroccan style recipes that use a tajine to steam the food. If you ever feel like being adventurous you should check it out! I don’t suppose it makes a difference to use boneless short ribs? Also do you think that a 1″ knob of ginger minced is about a Tbs? I use the frozen cubes of ginger for convenience (plus I don’t like pieces of ginger) Thanks. 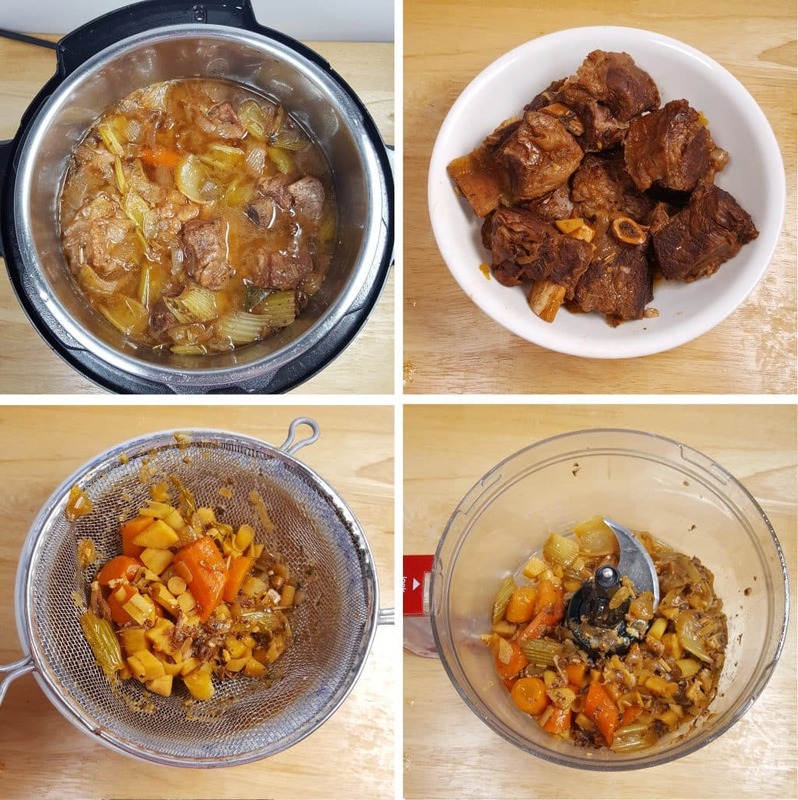 It would be very helpful if you could put how many pounds of short ribs you’re using in this recipe. Rather than so many english cut short ribs. Hi! I am new to IP and got a Duo Mini (3qt). To adapt this recipe, I am planning to make 4 bone-in short ribs. Should I reduce other ingredients by half or make all of the sauce as is? Thank you! Would have tried these but I don’t associate anything having to do with that President.